While there is still ongoing controversies surrounding IP laws and their enforcementin China, no one would disagree that there has been a lot of development in this area. Ultimately, effective IP enforcement in China is a strategic use of the IP protection options that are already available while understanding the commercial and at times, political landscape. The key is to effectively combine the available options (both from a commercial and legal standpoint) to achieve the desired commercial result. Additionally, due to China’s size and its rapidly developing economy and legal system, the difference between theory and practice may be quite large, especially in more remote areas. Consequently, often one size does not fit all. (iii) The State Intellectual Property Office ('SIPO") and its local offices deal with patent infringement. An administrative agency can take a range of investigative actions, including entering the infringer's premises; questioningthe infringer; inspecting and sealing or seizing the infringing goods and/or confiscating documents which relate to infringing acts. If, upon further investigation,aninfringement is proven, the agency can thendestroy infringing products, order the infringements to stop and impose a fine. Some of the main advantages of administrative proceedings are that they arerelatively inexpensiveand quick. Another benefit is that penalty decisions may later be admissible as evidence in court. Only the Chinese courts have the power to issue preliminary and permanent injunctions, and to order infringers to pay damages to the IP owner. Historically, foreign IPR owners have been reluctant to use the Chinese court system to enforce their IPR. However, there are now an increasing number of excellent and specialised judges, especially in the Beijing, Shanghai and Guangzhou IP Courts and in China's larger cities. Some of the main advantages of court litigation in China are: it can be quite quick compared to overseas. For example, the most straightforward cases only requiresixmonths to a year, and hence could be less expensive than litigation in the US or Europe. Moreover, Chinese courts can award damages and may order interlocutory asset and evidence preservation orders. If infringement is found, the courts have the jurisdiction to order infringers to publicise their apology in the media, which is effective in deterring other infringers in the market. Chinese courts are also rapidly improving theirlevels of sophistication.There are specialised IP Courts, specialist panels or tribunals of expert judges to hear IPR cases. For example, the tribunals recently installed in Wuhan, Nanjing, Chengdu and Suzhou. “Forum shopping” strategies are important in China, i.e. choosing where to sue. However, one of the main drawbacks to civil litigation in China are its high evidentiary burden and case filing formalities. For documents from outside of China to be admitted asevidence, they have to be notarized, legalised, and translated. This process is cumbersome and time consuming, not to mention, expensive. Moreover, since China does not have a discovery procedure, evidence gathering could be challenging. Another important drawback is that damages are generally not very high. However, this trend may be changing. There have been several reported IPR cases where significant damages were awarded, including a recent case where the Beijing IP Court granted 49 million RMB in damages and a full compensation of lawyers’ fees. Under the PRC Criminal Law, IPRinfringements whichreach certain monetary thresholds constitute criminal offences, and are investigated by the Public Security Bureaus ("PSB"). In practice, the PSB most often relies on complaints filed by IPR owners to take action. The PSB normally first conducts criminal investigations and if the evidence obtained warrantsanindictment of theinfringer, the case can be transferred to the Procuratorate, whichthendecides on prosecution before a People's Court. While criminal actions have a very strong deterrent effect on infringers, an IPR owner may find it hard to convince thelocal PSB to accept a case and start up investigations, since the PSB handles all kinds of crimesand may not see IP enforcement as a priority. As one of the cheapest ways of IP enforcement in China, customs actions are a popular means to provide basic protection for IPR in China. While most countries only have entry customs screenings, China has both entry and exit customs screenings. In fact, most seizures of counterfeits are done on goods leaving the country. Since the vast majority of seizures are done on the basis of a pre-recorded right, recordal of IPR with Customs is essential. The procedure is inexpensive and easy. Once a seizure is made, customs actions bring several benefits for an IPR owner:the seized products may prove useful as evidence in a civil litigation in China against the shipper or the manufacturer of the counterfeits; and the seizure also provides the IPR owner with useful evidence about the overseas buyers of the Chinese infringer. Customs procedures are fairly simple, yet strict: when customs finds any suspicious goods, customs can detain them and notify the IPR owner. The IPR owner then has a very short term of three working days to pay a bond and request seizure of the goods. If the IPR holder does not consider the goods to be infringing,or if the bond is not paid on time, customs willrelease the goods. Despite the challenges that are present,IP owners that devise a clear China IP strategy whichleverages and combines the available enforcement methods are often successful in protecting their IPR in China. 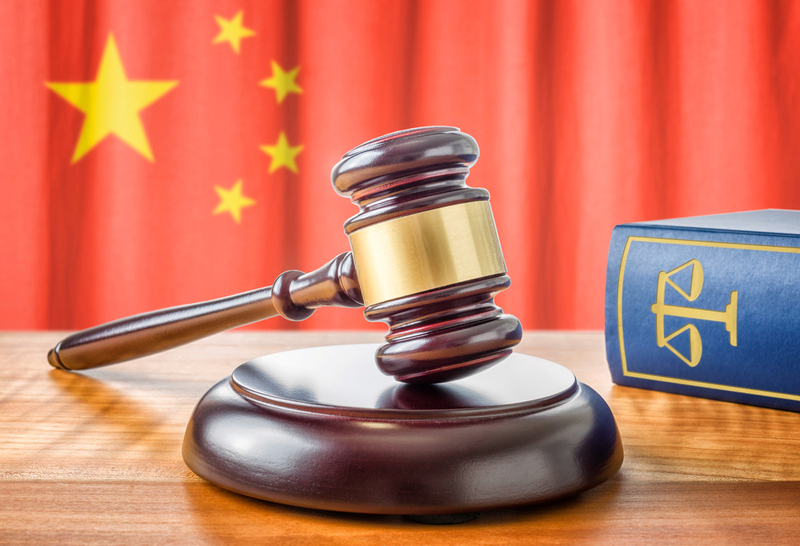 Moving forward, the change and evolution of the relevant laws and court practices in China are likely to continue to make it easier for foreign and domestic companies to enforce their IPR in China.